Christians are called to be people of the truth (John 17:17). Sadly, some Christians have a persistent habit of misrepresenting the truth, by the way they (mis)use the Internet. Take the example of pastor Rick Warren and the supposed “Chrislam” controversy. Rick Warren is the pastor of Saddleback Church in Southern California. For years, Rick Warren has taken an interest in building relationships with Muslims, so that they might hear the Gospel of Jesus. As Rick Warren says, “You cannot win your enemies to Christ. You can only win your friends.” Yet as a pastor of one of America’s largest churches, such a high profile personality comes under a lot of scrutiny. Sadly, another Christian leader, a tele-evangelist (I will not name the man), became suspicious of Rick Warren and popularized the terminology of “Chrislam,” accusing Rick Warren of trying to combine Christianity and Islam together into a single new religion, and denying the faith. Rick Warren, in 2011, publicly denounced the accusations as false. Now, just to be clear, I have no dog in this race. I have never met Rick Warren. I have never been to his church. I have never heard him preach, but others tell me that he is a great evangelist. I read a short pamphlet/book he wrote a few years ago, and I thought it was somewhere between pretty good and OK. Not the best thing I have ever read. But not bad either. I am sure God has and will continue to use his writings to change the lives of many people. It just was not necessarily the type of reading I personally go for. In 2012, an article in a local, secular newspaper, the Orange County Register, printed a story that sought to confirm the reports of Warren’s “Chrislam” views and activities. Unfortunately, the newspaper article contained many errors, according to Saddleback Church. Shortly after the article was published, Rick Warren made statements intended to correct the misinformation. Sadly, some Christians, including the above mentioned tele-evangelist, spread the Orange County Register story, like wildfire on TV and the Internet, without ever bothering to ask Rick Warren directly, if the story was accurate or not. Fast forward to 2018, and if you do a Google search, for something like “Rick Warren chrislam,” you will get an amazing 200,000+ hits, most of them repeating the same type of accusations made six years earlier in 2012, that Rick Warren addressed within days of the Orange County Register article. Six years. Over 200,000 hits. Never mind the fact that Saddleback Church has baptized over 45,000 people, over the years, a number of whom come from a Muslim background. That is right: people from a Muslim background, risking ostracism and family rejection, to publicly identify with King Jesus. It is like the Internet lie that never dies. If you have been tempted to pass on such old rumors like this to your friends, there is this pesky little command, in the Ten Commandments, that you might want to be aware of: “You shall not bear false witness against your neighbor” (Exodus 20:16). The video below should pretty much dispel such rumors, which is an interview that Rick Warren had with a leading Calvary Chapel pastor, a year or two ago. Much of the lingering controversy involves Rick Warren’s signature in 2007 on a Christian response to the Yale “A Common Word” document, written by Muslim leaders. The Christian response was open to misinterpretation on several points, but it was meant to commend Muslim attempts to call for peace and dialogue, and rejecting violence, and not to be a final statement on doctrine. For more about the related “A Common Word” Yale document, see this earlier Veracity post. Nabeel Qureshi is a Christian apologist, from a Muslim background. Please pray for him. Nabeel is dying of stomach cancer, and the immediate prognosis is not good. Nabeel grew up in Virginia Beach, Virginia, having parents grounded in Ahmadiyah Islam. He became a follower of Jesus, after becoming friends with David Wood, an atheist turned Christian, while both were students at Old Dominion University, in Norfolk, Virginia. He wrote the best-selling Seeking Allah, Finding Jesus, after pursuing a medical degree and advanced theological studies in Christian apologetics. Nabeel is a speaker with Ravi Zacharias International Ministries. Fellow Veracity blogger, John Paine, met Nabeel at an apologetics conference a few years ago, and John wrote a great series on Islam, based a lot on what John learned from Nabeel. Nabeel’s critics from Islam believe that his stomach cancer is a sign of God’s judgment against him, for turning his back on Islam, and becoming a Christian. Please pray that God might work a miracle, or otherwise, finish strong. Nabeel had to have his stomach removed, several weeks ago. As the flood waters were rising outside of his home, in Houston, during Hurricane Harvey, he was rescued from his home and taken to the hospital, for further treatment. Sadly today, Nabeel released a video on YouTube, telling his supporters that he has been put on palliative care. Nabbed is married with one child. Nabeel Qureshi is 34 years old. 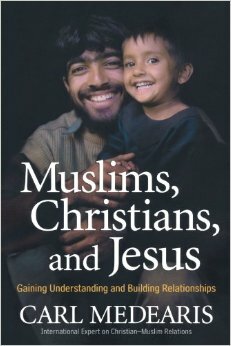 My wife and I just finished reading a book written by Carl Medearis, Muslims, Christians, and Jesus: Gaining Understanding and Building Relationships. Little did we know that when we first started to read the book that current events surrounding the world refugee crisis would make our reading of the book into quite a big conversation starter. Some voices in our culture say that Islam and Christianity are basically equal pathways to God, just using different language. Therefore, Christians should not bother trying to share their faith in Jesus with Muslims. On the other side, some say that Muslims can not be trusted, because of their association with terrorism. Carl Medearis avoids the pitfalls of those two extremes. He focuses on the person of Jesus. I reviewed my first Carl Medearis book, Speaking of Jesus: The Art of Non-Evangelism, here on Veracity. Medearis and his family spent 12 years in Beirut, Lebanon, building relationships with Muslims in the Middle East, talking with them about Jesus. As in his other books, including Muslims, Christians, and Jesus, Medearis recounts some of his conversations with Muslim leaders that challenged me to rethink my own prejudices against Muslims as real people, who need Jesus just as much as I do. In addition to giving a helpful overview of what Islam is, Medearis provides some very useful tips in making friends for Jesus with Muslims. As a read geared towards a popular audience, it is a fairly short book, too. For example, according to Medearis, did you know that Muslims often think that Christians do not properly honor the Bible as God’s Holy Word? Sure enough, this past Christmas, I invited a few Muslims friends to a concert at our church. In our church, we put our pew Bibles in metal trays attached underneath the seat in front of where we are sitting. My Muslim guests were appalled that we stored our Bible down low, underneath people’s rear-ends, instead of lifting God’s Word up high, as a sign of honor and respect. I had never thought about that before. In early 2017, a new American President implemented a temporary travel ban on citizens from several Islamic countries, including an indefinite ban on refugees from Syria coming into the United States. Several million people have been fleeing civil war in Syria, including not just Muslims, but Christians as well. Refugee resettlement programs can take a very long time to work through, so the recent moratorium complicates the situation. Veracity blogger John Paine and I have made our views known before here on Veracity, on which we both agree, regarding the Syrian refugee crisis, and how Christians should respond. Christians all over the world, and especially here in the United States, are divided over this issue. Hundreds of prominent Christian leaders oppose the refugee ban, while others support it. World Relief, an evangelical relief agency working with churches to settle refugees, has drafted an open letter, as a full-page in the Washington Post in February, 2017, calling upon conservative evangelical Christian leaders to speak out. It is a delicate balance between being obedient to the Gospel’s call to love and care for the refugee, with the requirement for national security and protecting American borders. We need to have a conversation among Christians today, as to how believers are to pray and be faithful in God’s calling to best assist the refugee, in a dangerous world. Might I suggest that you grab some copies of Carl Medearis’ Muslims, Christians and Jesus, read it together with Christian friends as a group, discuss it, and then, do something about it? Robert Spencer’s The Truth about Muhammad paints a very different portrait of the founder of Islam, as compared to the work of popular author Karen Armstrong, who describes Islam as a religion of peace. How do you figure out who is telling the right story? The vast majority of Muslims, who are horrified by the atrocity of Sept. 11, must reclaim their faith from those who have so violently hijacked it. I have been listening to an audiobook by a Catholic popularizer of contemporary scholarship, who specializes in Islamic history, Robert Spencer. 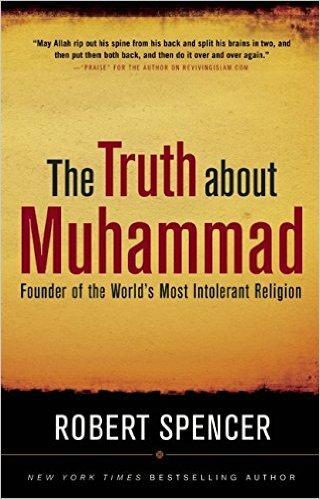 Listening to The Truth About Muhammad: Founder of the World’s Most Intolerant Religion has been a challenging experience. Spencer notes that while some Koranic texts do suggest that in Muhammad’s early career, the prophet did seek to promote peace, the story of his later life suggests a more complicated, and much darker story. According to Spencer, the theology of jihad, or “struggle,” was used to justify violence against Jews, Christians, and others who resisted Muhammad’s message towards the end of his prophetic career. This tradition is still appealed to today by the followers of extreme Islamic groups, such as ISIS, who are demonstrating their commitment to erase Christian believers from much of Syria and Iraq. “Reading this, I doubt Armstrong actually read the book. Or maybe she just wants to make sure no one else reads it.” (retrieved from jihadwatch.org). So, which narrative is correct? Is Islam a religion of peace, or a religion of violence? Strangely, I know many Christians who never give much thought to the study of religious history, considering the matter to be of little consequence to their daily lives. Yet I would contend that such ignorance provides little consolation to the families of those who lost loved ones during the 911 attacks, or to the millions of Syrian refugees fleeing ISIS, looking for sanctuary in Western countries in our current time. Is the Book of Joshua a justification of ethnic genocide, or was it a directive by God to execute judgment against the wickedness of the Canaanites? Would God ever command Christians to do the same today? What does it mean to “trust God” in the face of evil and wickedness, and to what extent are believers to engage in combating such evil and wickedness? What should be our priority, sharing our faith with non-believers, or doing what we can to prevent or restrain acts of violence? Such questions require thoughtful consideration by Christians. The questions are complicated because people are complicated. For example, while it is surely true that Islamic extremists threaten with acts of violence, the vast majority of Muslims regard their faith as essentially peaceful. Islam is not a monolithic movement. But should our view of Islamic extremism cause us to love our Muslim friends and neighbors any less? I hope not. I hope that we as believers would make the sharing of our faith, the Good News of the Gospel, our highest priority. Where do we go to sort out these things? 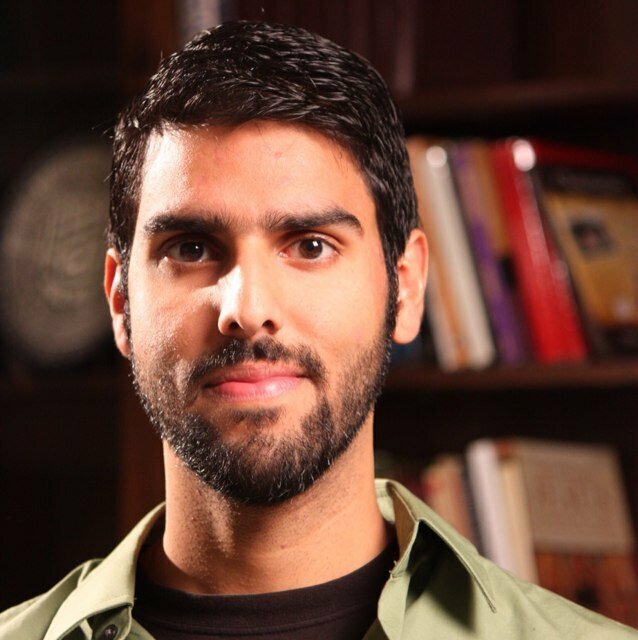 For me, I have been strongly encouraged by the testimony of Nabeel Qureshi. Qureshi grew up in high school in Virginia Beach, Virginia, in a family of Muslims who belong to an Islamic sect that strongly believe Islam to be a religion of peace. Yet when Qureshi attended Old Dominion University, he met a Christian friend who challenged his understanding of Islam. After several years of friendly, yet intense, back and forth dialogue, Nabeel Qureshi became a follower of Jesus. Over the years, Qureshi has had a powerful ministry with Ravi Zacharias, encouraging other Muslims to reconsider their understanding of Islam and consider afresh the claims of Christianity. Below is a five minute clip where Qureshi addresses the tough questions (PLEASE NOTE: Nabeel Qureshi recently announced that he has been diagnosed with stomach cancer and his survival chances over the next few years is quite low. Please pray for him and his family). When I heard the news the other day about an Islamic man, claiming to be associated with ISIS, gunning down 49 people in a gay nightclub in Orlando, Florida, I was grieved and saddened. That evening, at a meeting in our church, we prayed for the families impacted by this terrible event. However, in the midst of processing all that has happened in Orlando, I would contend that a lot of my Christian brothers and sisters feel a bit bewildered by the whole thing. How do you respond to something like this? How do you love people gunned down in a gay nightclub? How do you love someone claiming to be an Islamic terrorist, slaughtering people around him? What would Jesus do? A lot of Christians are afraid. Hey, I struggle with it. Don’t you?? On one side, many Christians are afraid of Islam. Some are afraid of Sharia law taking over America. Some are afraid of Christianity being diluted by an unfamiliar faith that claims Abraham as their father. Some are afraid of violence. On the other side, many Christians are afraid of the LGBTQ community. Some are afraid of family values going downhill. Some are afraid of the “ick” factor associated with homosexuality. Some are afraid of the pressure to change the theology of the church in order for LGBTQ folks to feel like being accepted. But does fear tell the whole story? There is no fear in love, but perfect love casts out fear. For fear has to do with punishment, and whoever fears has not been perfected in love (1 John 4:18). Allow me to tackle a couple of these fears. For example, as has been discussed before here on Veracity,1 literally millions of Muslim-background people are fleeing countries that have been closed to or otherwise restricted from Christian missionaries. Furthermore, some reports show2 that Muslim-background people have shown a greater interest and openness to the Christian faith within the past 14 or so years, than in the preceding 14 centuries. The harvest is plentiful. And the fields are coming right to your doorstep in your community. Should we respond in fear, or should we respond with obedience to the Great Commission? Here is another fear to address. Many Christians are afraid that the LGBTQ community is trying to force Christians to give up on the theology of the Bible in order to feel accepted by the church. 83% of the LGBTQ community has some type of Christian faith background. 76% of the LGBTQ community would be open to coming back to church. 80% of the LGBTQ community pray. Of the 76% of those who would be open to coming back to a church, only 8% would insist that the church change its theology of sin and/or marriage. Think about that. That means 92% of LGBTQ people who are interested in coming back to a church are more interested in how they are treated than they are with the doctrinal stance of that church, regarding sexual ethics. With the added emphasis of what has happened recently in Orlando, it is imperative that Christians demonstrate compassion towards those in the LGBTQ community, when their sense of fear of being relationally isolated from the church has only been compounded all the more. Here are some practical suggestions: Get to know someone who is a Muslim or someone who identifies with the LGBTQ community. Listen to their story. Ask them questions. Show them hospitality. Then, ask the Lord where to lead you next in your relationship with that person. Sure, there is always an aspect of fear. Radical terrorists still threaten with violence: convert to Islam or die. There are still some LGBTQ people who will not budge an inch in their efforts to change your Christian theology on marriage. But I am reminded by a quote from a sermon this past week. In C.S. Lewis’ The Lion, the Witch, and the Wardrobe, a question was asked about Aslan, the Christ-figure in the story. Is the Lion safe? If Christ is the King, and he is good, then we have nothing to fear.